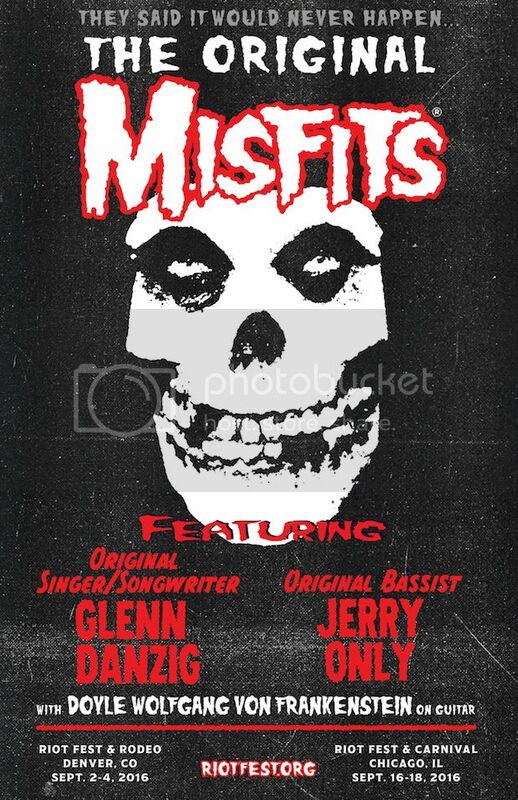 Glenn Danzig hasn't been a part of the Misfits since their original breakup in 1983. Glenn Danzig hasn't been a part of the Misfits since their original breakup in 1983. Now, following lawsuits, new bands, and a lot of drama, Danzig has rejoined the misfits. He'll share the stage with former bandmate and former rival Jerry Only and long-time guitarist Doyl Wolfgang von Frankenstein at Riot Fest in Denver on September 2-4 and Chicago on September 16-18. The rest of the lineup will be announced soon.